Jerry Remy, who threw out the first pitch prior to Game 1 Thursday night, was recently elected “President of Red Sox Nation” or some such nonesense. I cringe at the term Red Sox Nation, frankly. So bombastic. Why can’t we just be Red Sox fans? But whatever, I guess if anybody’s going to be president of us Red Sox fans it should be Jerry Remy, who grew up one of us in Fall River, Massachusetts, who was among the euphoric yahoos storming the field in Fenway after Petrocelli caught the popup to clinch the 1967 pennant (Remy was 14 years old at that moment), who after logging three good seasons with the California Angels was traded along with his mustache to the Red Sox (for Don Aase and his mustache), who then immediately had probably his best all-around season in helping his hometown team almost get to the point they are now, the playoffs, who in fact got the last basehit of that painful 1978 season, singling off Goose Gossage to push Rick Burleson and his mustache to third, 90 feet from tying the do-or-die one-game playoff game against the Yankees, who though often bedeviled by injuries after 1978 went on to become one of the top five second basemen in Red Sox history, and who now is a beloved TV announcer for the Red Sox, a welcome guest in the homes of New Englanders who recognize his love of the game (and his unvarnished New England accent) as their own. 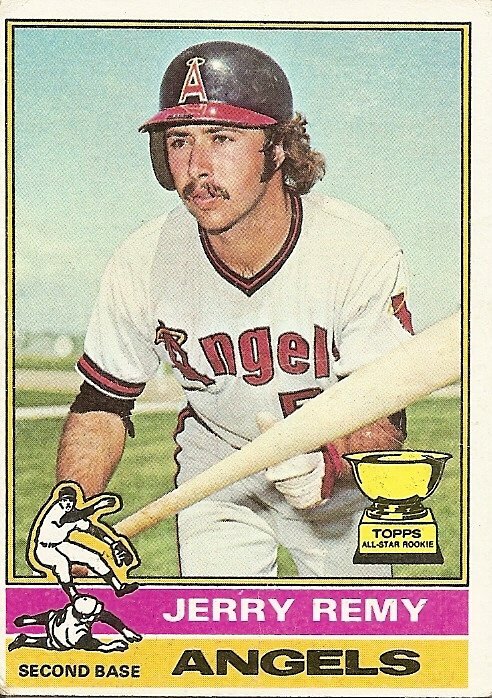 You are currently browsing the archives for the Jerry Remy category.